Mango has released the 30-second version of the commercial promoting its Committed Collection, for both women and men, featuring fashion pieces committed to environmental sustainability. The spot stars real-life model couple Rachel Zimmermann and Mathias Lauridsen sporting the ruffled poplin dress, the organic cotton T-shirt, the belt cotton-blend trousers, the organic cotton blouse, the relaxed jeans, the cotton pockets jumpsuit, the regular fit double-breasted blazer, the multi-pocket jacket, the straight-fit cotton chinos, and others. Manufactured in factories in Portugal, Turkey and Morocco, the collection, comprising 25 women’s and 20 men’s styles, has been made with environmentally friendly organic and recycled cotton, recycled polyester and Tencel, which have been dyed with environmentally friendly inks and have international certificates. Due to the use of these fabrics, price point of this collection is slightly higher than the normal Mango collection, ranging from £20 to £100. 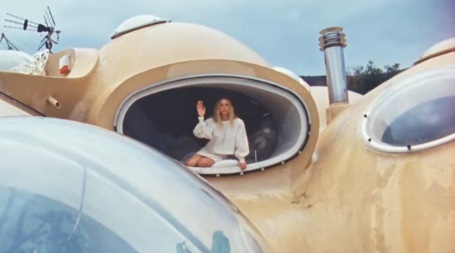 The song used in the ad is Aloha – Meta.